The stymied progress toward gender equality since the feminist icon’s political heyday. 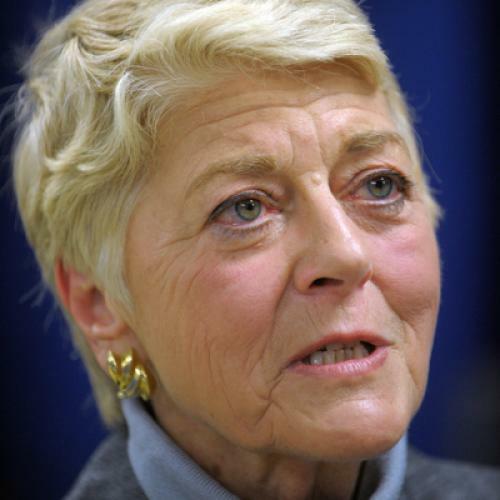 When news reached me this past weekend that Geraldine Ferraro had succumbed to cancer at the relatively tender age of 75, I felt an inexplicable sense of loss. This wasn’t a generic sensation—the abstracted sadness we inevitably feel when public figures die—or a civic mourning for the loss of a champion of women’s rights. Rather, my feeling of loss stemmed from something I never had, a sense of nostalgia for a moment I didn’t experience. Ferraro’s funeral is today, her death justifiably triggering a surge of tributes and recollections about her life and career, including my own. I was born only a year before Walter Mondale made the groundbreaking decision to name Ferraro as his running mate, making her the first female vice presidential candidate for a national political party. Needless to say, I was not aware at the time of the momentousness of the occasion, but that doesn’t mean that his choice and her narrative do not affect me. It’s a trap that many of us fall into: assuming that those who did not experience an event first-hand won’t feel its ripple effects in time. I am not trying to say that Ferraro’s life and career were not significant. They were, and I firmly believe that she should be celebrated as a pioneer and as a passionate champion for gender equality. However, recent evidence suggests that the situation for women in America and, in particular, women in American politics might not be so different than in Ferraro’s day—despite the generation gap. Exhibit A: “Let me help you with the difference, Ms. Ferraro, between Iran and the embassy in Lebanon,” George H.W. Bush began his now-infamous response to Ferraro during their 1984 vice presidential debate. “Let me just say,” Ferraro countered, “that I almost resent, Vice President Bush, your patronizing attitude that you have to teach me about foreign policy.” A sizeable number of debate viewers applauded Ferraro’s response, and yet, in 2008, presidential contender Hillary Clinton faced so much sexist vitriol and condescension from the press and from her opponents that it is impossible to catalog even a fraction of it (but this and this are a good start). Exhibit B: Ferraro was oft-criticized for her stance on abortion, a stance to which she held firm for the entirety of her career. Even though, for religious and other reasons, she was personally opposed to the procedure, she was a vocal and fervent supporter, on the legislative level, of a woman’s right to choose. Not only are abortion’s legality and accessibility more contested now than ever, but, these days, I rarely hear politicians, male or female, openly and ardently affirming their pro-choice stance without myriad equivocations and a clear desire to change the subject. Exhibit C: Many believe that Ferraro’s political career—from her vice presidential campaign to her failed bids for the Senate in 1992 and 1998—was ultimately undone by suspicion (and, later, confirmation) of her husband’s botched financial dealings. Decades later, Hillary Clinton was similarly maimed by association with her husband, who somehow functioned for detractors as both a liability and the sole reason for her success. And yet, I cannot think of any instances where a male politician’s campaign was railroaded due to the reputation of his wife—before 1984 or after. Ferraro invokes a past that women in my generation are not supposed to forget. Those were the old days. She broke through the glass ceiling. In 1984, no one imagined a woman could be a vice presidential candidate; now, the prospect of a woman president isn’t that far off. So we’re told. But I’m not so sure that’s the case. My hope is that Geraldine Ferraro’s legacy continues to inspire women in the government and beyond. My fear is that she will become nothing more than a dog-eared page in the annals of women’s political history, trotted out when we need to mark the changing times, and then forgotten—her legacy not nearly so impactful as we’d like to think. Aviva Dove-Viebahn teaches at the University of Northern Colorado.